Great brush, just trying to work out how to use it properly now! I love this brush, have only had it 3 weeks but noticed a difference straight away. Drying and straightening my hair is much easier, my hair is noticeably smoother. Already have the ceramic brush on my xmas list! Purchased this brush as a second, larger barrel, as hair getting longer. 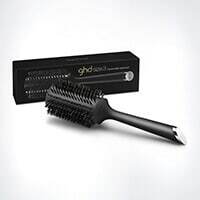 Excellent brush, great price, and helps dry thick shoulder length wavy hair much quicker. Would recommend this brush. Fab,arrived very quickly :) Bought for my sister for xmas & she's very happy. 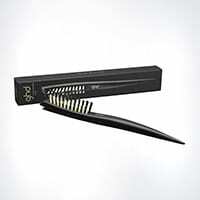 Best tail comb - very sturdy and anti static! Very efficient delivery time. Talk about volume, really lovely brush thank you.. This is the best hair brush I've used. 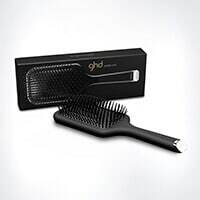 It glides through your hair yet still holds the hair so you can style it. The quality of the brush is excellent. I would definitely buy another one. I have coloured hair (platinum) that goes just past my shoulders. It is naturally curly and frizzy. I bought this brush hoping it would dry my hair less frizzy (upon review it said this was the brush for me). Unfortunately it dries my hair with significant frizz. If you have naturally curly or frizzy hair - avoid this brush and get a different one. 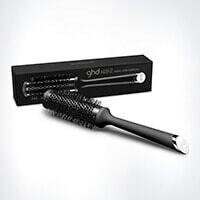 The quality of the brush is unquestionably very good and worth the money IF it is the right brush for you.